Whistling Sisters Brewery and the Fermentary Bar & Restaurant are the result of close collaboration between clients, brand strategists and architect. The spatial arrangement interlocks double height areas with more intimate space with low ceilings and huge raw concrete beams. This creates a variety of character spaces that add to the visual experience. The brewery is inserted within a double height space that has windows to the street and to the Fermentary Bar & Restaurant. 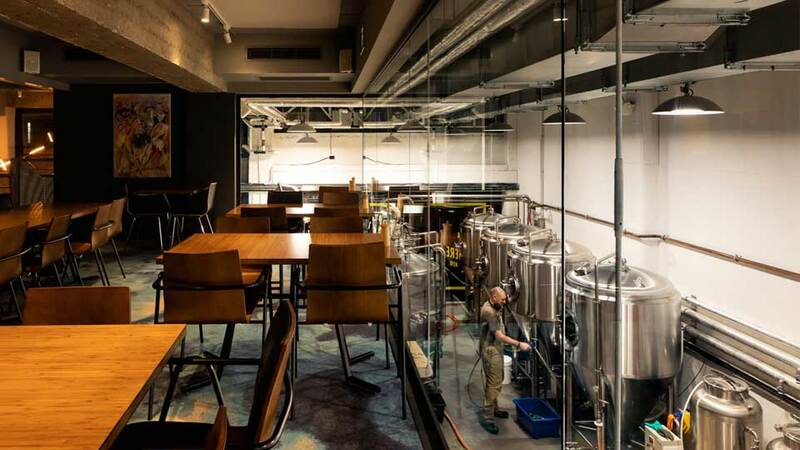 This provides an active backdrop to the bar and restaurant spaces from the ground floor and mezzanine level, which appears to cantilever out into the brewery itself. The Fermentary has two distinct characters. The first is the ground floor where a double height space wraps around an inner core housing the bar and kitchen areas. The raw unfinished concrete is juxtaposed against finely detailed kitchen and bar. The kitchen is entirely open with a vast work servery which is alive with chefs and kitchen staff plating up meals, slicing meats and preparing food. The bar is bristling with stainless steel beer lines and beer dispensers with clear glass tops that show off the beers within. 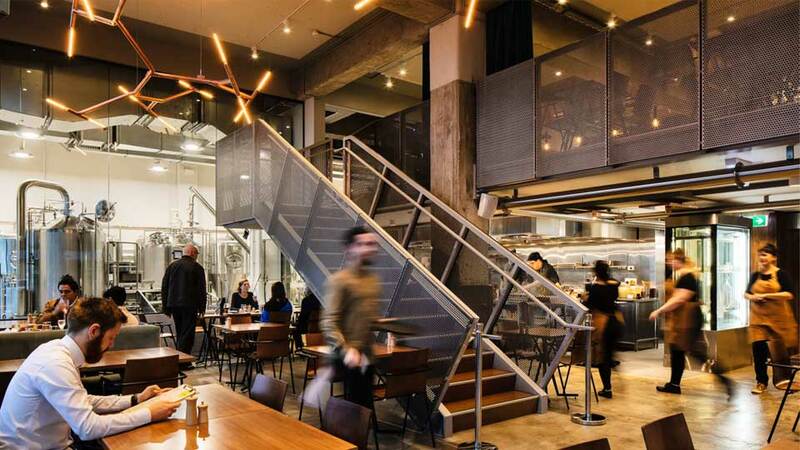 The Mezzanine is a more intimate space that overlooks the brewery and the bar below. The interior is enlivened with its swirling abstract carpet set against the raw unfinished concrete and perforated steel balustrade. Large sliding doors allow the room to be divided up and create a function room complete with latest in audio visual equipment. Whistling Sisters & the Fermentary is more than just a business for its owners the Scott Family. It has been set up as a way to support the Karen Louisa Foundation that provides funds research into secondary (advanced) breast cancer. It has been a privilege to work with them on developing this very special place.